Home prices may still be rising, but mortgage interest rates are moving in the other direction, giving buyers a small break. Bankrate reports rates are lower for the third straight month, with the average rate of a 30-year fixed-rate mortgage dropping to the lowest level in more than six months. The average rate is 4.09% this week, the lowest since the middle of November. 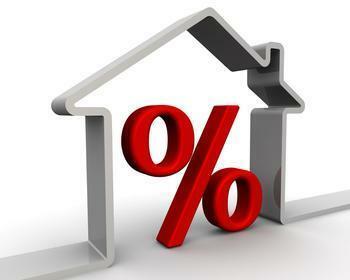 Mortgage rates typically follow the rate on the Treasury's 10-year bond, and lately that rate has moved lower, even though the Federal Reserve has signaled that it plans to keep raising the Federal Funds Rate. The Federal Funds Rate has a big impact on the interest you pay on your credit card, but it has little to do with mortgages. Bankrate notes that inflation has cooled, consumer spending has softened, and ongoing questions about a brewing White House scandal has created uncertainty among investors. All have combined to push bond rates lower. Bankrate reports the average 30-year mortgage rate dropped from 4.13% the previous week. It says the 15-year fixed rate mortgage rate is 3.31%, nearly flat with the previous week. The 5/1 ARM rate is 3.41%, also nearly the same as the week before. At the current average 30-year fixed mortgage rate of 4.09 percent, the monthly payment for a $200,000 loan is $965.24. With interest rates still near historic lows, home sales should be surging but they aren't. The main reason for that is a lack of homes for sale, especially in cities with strong job markets. Lawrence Yun, chief economist for the National Association of Realtors (NAR), sees no increase in inventory coming anytime soon. Yun says homebuilders have not increased production and investors who bought foreclosures during the housing crisis, converting them to rentals, have shown no indication they plan to begin selling them. Until both situations change, he says, inventory levels are likely to remain tight.